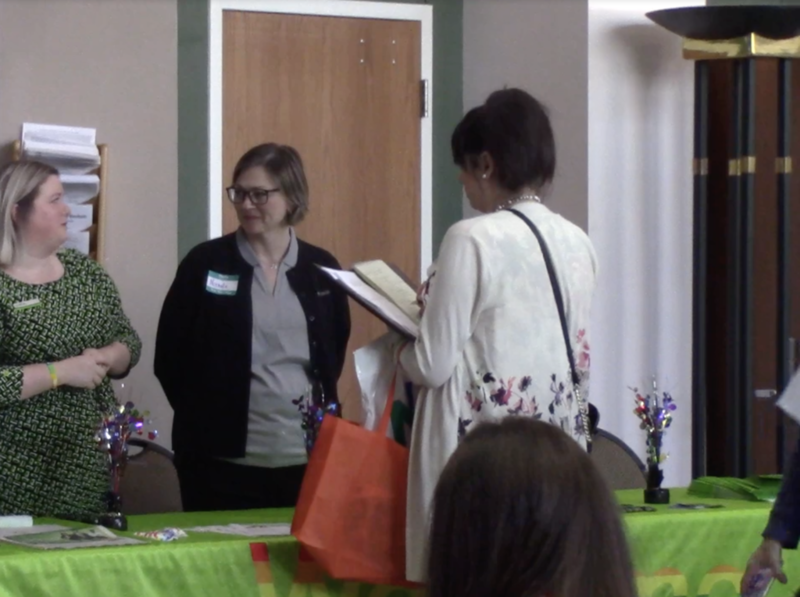 Saturday, April 6th, 2019 – Metro Health System had its fifth annual transgender job fair providing opportunities for a community that might not be there otherwise. METRO HEALTH SYSTEM IN CLEVELAND USED ITS RESOURCES TO MAKE AN IMPACT ON ITS COMMUNITY. TV2 REPORTER ALEX GRAY HAS THE STORY. “So, it was easy to see that the transgender community was not well represented in the workplace and they didn’t have the proper access to job opportunities,” Alan Nevel, Metro Health’s chief diversity and human resources officer, said. 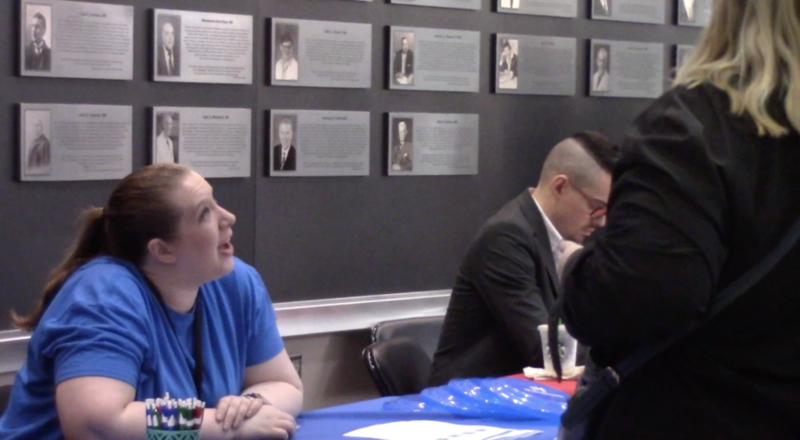 One job fair participant talks with potential employers at the 5th Annual Transgender Job Fair. The fair included over 30 companies and businesses, a keynote speaker, and job training sessions. Each participant was also given a welcome bag full of resources. 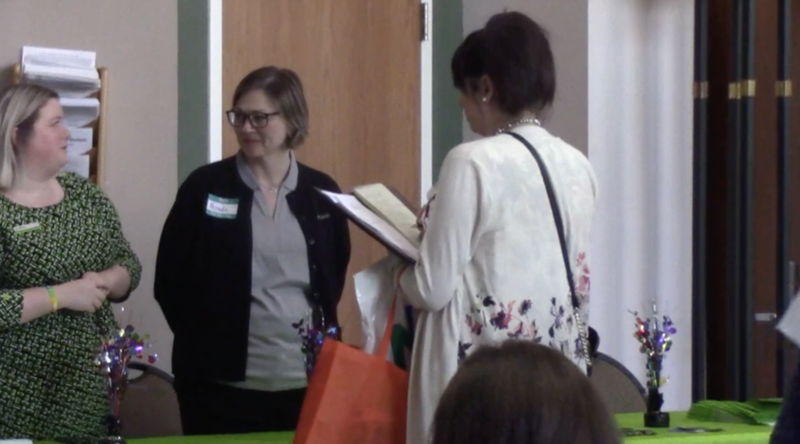 “I met a lot of amazing people when I came as a participant, so I felt like it was extremely important to bring that full circle and kind of speak and attest to the success that I’ve had in the job field,” Giovanni Santiago, a previous job fair participant and keynote speaker of the event, said. But according to the 2015 Transgender Survey, transgender unemployment is three times as high as the national average. Metro Health is working to combat this by inviting inclusive companies and marketing to the public every year. “So we can pick people exactly around the community who we know will be able to get this message in the hands of the right people,” Tina Arundel, the manager of public and media relations at Metro Health, said. Nevel said that many people who were looking for employment will receive an offer on the spot. Some people even came out to volunteer and show support for Metro Health’s initiative. “I’ve worked for two amazing employers and I feel like it’s extremely important to talk about how there are great companies out there and not just the negative that you hear,” Santiago said. “That’s the last thing these people want is questions about their identity. They’re a whole person and they want a job and they deserve a job and they deserve good work,” Arundel said.